“Tool for shaving-off” inTagalog is “panabas” or “pantabas”. 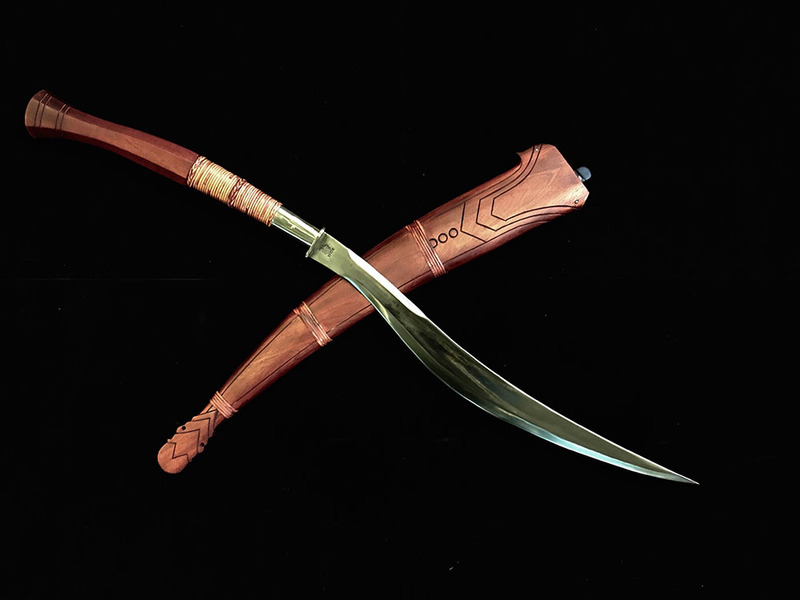 Traditionally used as an agricultural tool by the 19th century Moro tribes of Mindanao, the Panabas is a single-edged sword and is shaped like a long-handled Kukri. Its overall length could range from 2-4 feet. 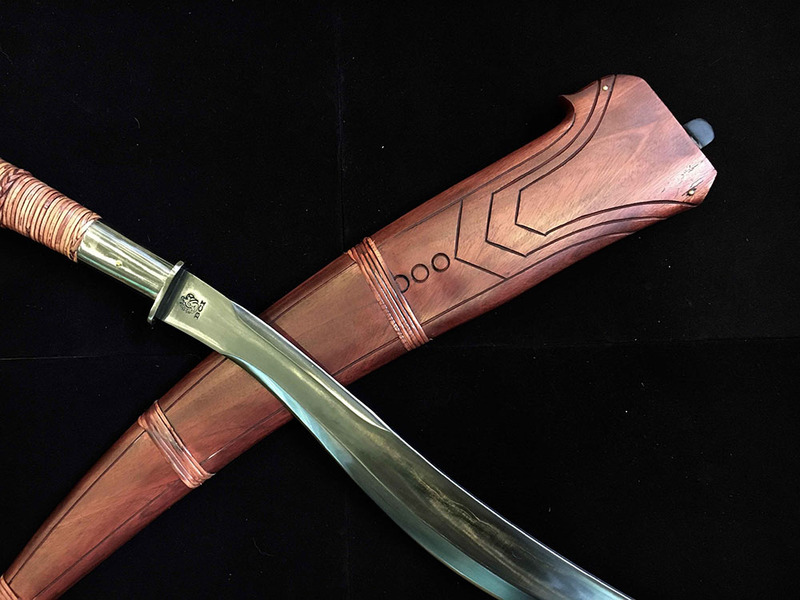 It is efficient at cutting in half; in fact it had a place in the battlefields against invaders. The Panabas can be used either as a single-handed or double-handed implement.